Stay innovative, preserve your core business ethos and motivate your staff to keep your coffee shop running like a well-oiled machine! It is important that both you and your employees are aware of the cost of wasting coffee and milk as these are the two products you’ll be dealing with the most. A few shots of unused coffee each day quickly mounts up, so keep an eye on your stock consumption to minimise waste but try not to obsess over it. Time wastage can be as detrimental to a business, if not more so. Your time, as a business owner, is very valuable. You should structure your week so that you are able to dedicate enough time to different aspects of the business, from training to bookkeeping. If you do not have enough time to manage everything yourself, you should consider employing a manager or an accountant. Packaging and disposable drink cups is an ongoing operational cost you could aim to reduce, which will also reduce your business's carbon footprint. Encourage customers to bring in their own refillable cup by giving them a discount on their coffee and try not to use unnecessary packaging. There has been a huge surge in the reduction of single-use plastic in 2018, so your coffee shop will be quick to be questioned if you don’t follow the herd in this instance. 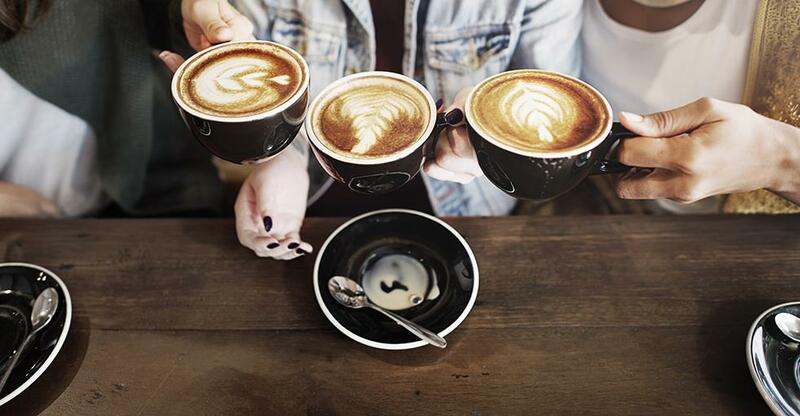 The coffee culture in the UK has been the fastest growing in Europe – so keeping up with the surge of competition is vital! Even if you’re coffee shop has a queue out the door and healthy profit margins, don’t let the ball drop. So, keep up-to-date with new products and different strategies to streamline your operations. Regularly check the quality of any food and cakes you stock, and carry out spot checks to ensure your baristas are brewing coffee to perfection. Owning a business in a flourishing industry means that competition is fierce, and although you could be the best coffee shop on the street right now, that could all change very quickly if you don’t evolve your business to keep it fresh and interesting. Still remember to uphold your brand’s identity and make sure your loyal customers feel a connection and a sense of community within your coffee shop. When you first set up your business, you should have created a mission statement which encompasses the heart and ethos of what your company is all about; whether it is operating a green business or sourcing local produce. When you make any decisions or changes to the business, make sure they are in line with your mission statement; this creates cohesion and a clear focal point for the company. Any business within the hospitality and café sector has to deal with certain employee issues; whether it be weekend staff letting you down; a lack of productivity or motivation; or, most worryingly, hands in the till. Be focused on creating a dynamic, enthusiastic and dedicated team. Remember, one bad apple can spoil the bunch. Having security cameras in place, checking stock and itemising products on the till will help you to control and monitor any theft. As well as accepting card transactions, there are also mobile payment apps that you can integrate into your payment methods to reduce the amount of cash that is kept on the premises, which is another deterrent for dishonest staff. For many of your staff, 6am starts, standing up all day and working long shifts is not the ideal job. Money is the most common motivator. Paying a higher hourly rate at weekends, offering an insurance package or allocating training opportunities for staff to progress within the team are all great incentives to boost staff morale.